A couple of days ago the first render depicting the upcoming Google Pixel XL 2 got leaked, and today a new report comes to tell us a few things about the unique software features it will sport. The next Pixel XL is going to have always-on display functionality, something that's made possible by its OLED screen. This will be an optional setting, of course. This feature will show useful information and notifications while the phone is locked and idle. Many other smartphones come with similar functions, and it's good to hear that Google will be joining the club. This information reportedly comes from "a source familiar with the matter". The already leaked squeeze frame function will apparently be available regardless of whether the handset is locked and the display off or not. So, for example, you can invoke Google Assistant with a squeeze whenever you feel like it. The squeezing intensity will be adjustable just like it is in the HTC U11. The ability to silence incoming calls may be added to the squeeze frame feature at some point in the future. Moving on, there will be a new section inside Display Settings having to do with choosing different profiles. sRGB mode, so far hidden inside the Developer Menu, will appear here, alongside a new "Vivid Colors" option. Finally, as part of the setup of your new Pixel XL 2 you'll be taken to g.co/pixelphonetour (the address obviously isn't live yet). 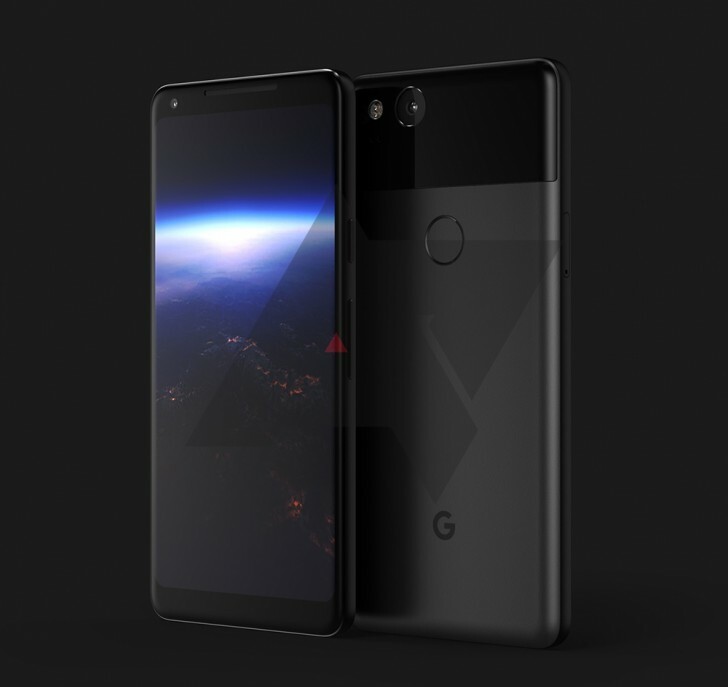 The Google Pixel XL 2 is made by LG and has been rumored to come with a 5.99-inch 2,880x1,440 18:9 OLED touchscreen, the Snapdragon 835 chipset, and a two-tone glass and metal back design - though unlike the original from last year, in this Pixel XL the fingerprint sensor won't be encased in the glass part, which is now smaller.